Are you ready to party? Why not enter this scrumptious giveaway for 5 bags of Dippin’ Chips. These are shaped perfect for all your dippin needs. Yes, these will be the answer for all those double-dippers because there will no longer be a need! Dippin’ Chips are the perfect chip to load up with your favorite dip! Three sides of the chip are curled up to help hold in that yummy goodness! Dippin’ Chips are delicious! Prize: THREE WINNERS!!! 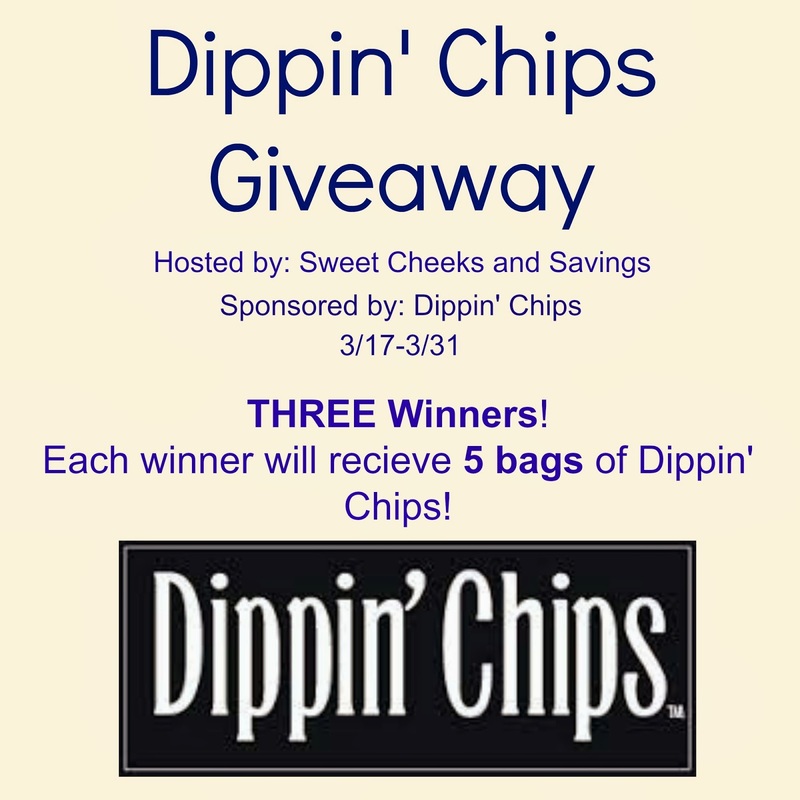 Each winner will receive 5 bags of Dippin’ Chips! Dates: Starts March 17, 2014 12:00 am EST. Winner will be chosen March 31, 2014 11:59 pm EST. Disclosure: Sweet Cheeks and Savings teamed up with Dippin’ Chips for this giveaway. Other participating bloggers are not responsible for choosing the winner or shipment of product. They have not receive any compensation for this post.